You find your computer slows down with quite a few programs running, so you want to close some of them via Task Manager. When trying to open Task Manager, however, you’re confronted with a blank window saying “Task Manager (Not Responding)”. “What’s wrong?” you must wonder. Don’t worry, this article gives you 8 possible solutions to fix the Task Manager not responding/opening issue. You may not have to try them all. Just work your way down the list until you find the one that works. 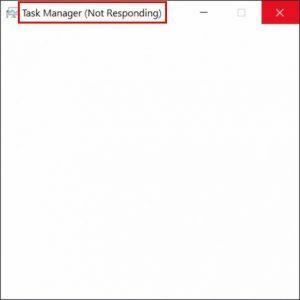 What is the function of Task Manager? Task Manager is a basic component of Windows systems. It enables you to view all the applications and processes currently running on your PC, and the overall performance of the computer. You may most usually use Task Manager to end a task, or forcibly close a not-responding program so that you don’t have to restart your PC. 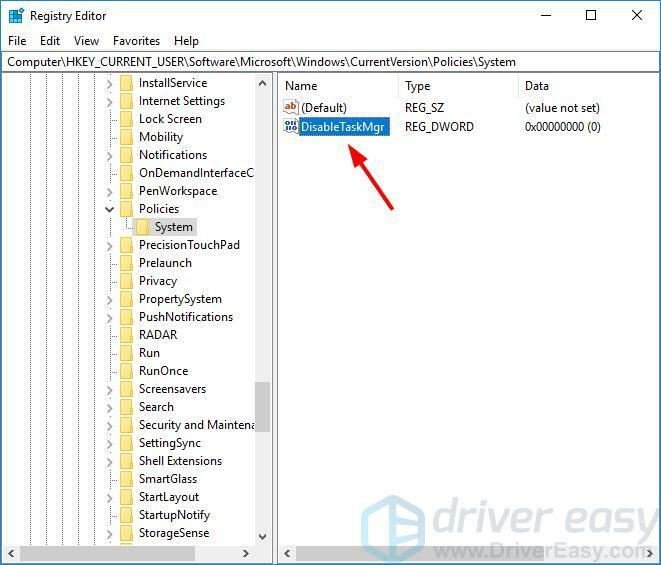 Type taskmgr or task manager in the Windows search box and select the matching result. 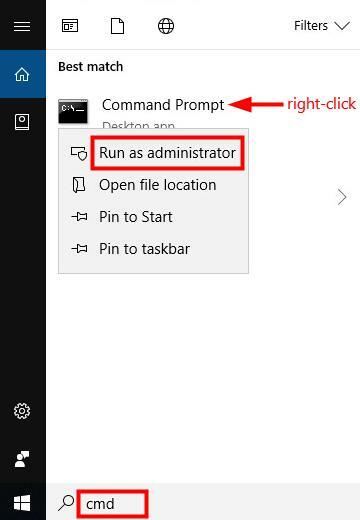 If you’re using Windows 8 or Windows 10, you can also right-click on the Start button and select Task Manager. 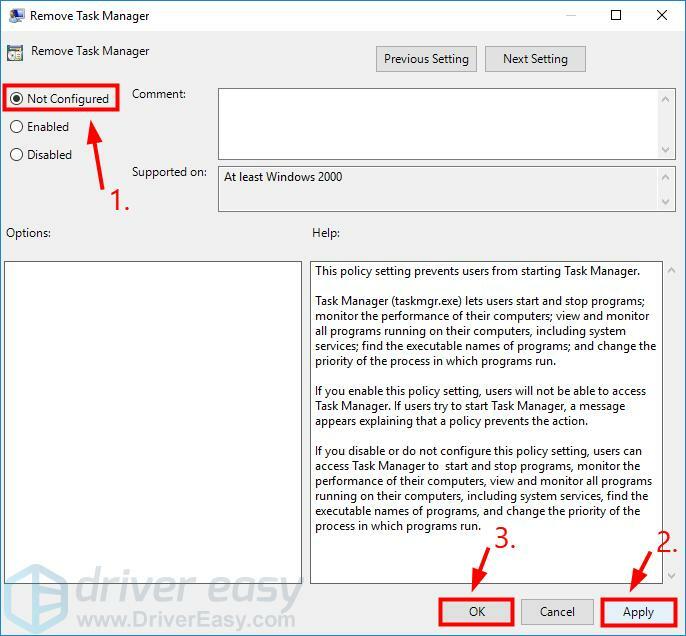 If so far Task Manager on your PC didn’t respond, you can try the solutions below to troubleshoot the problem. 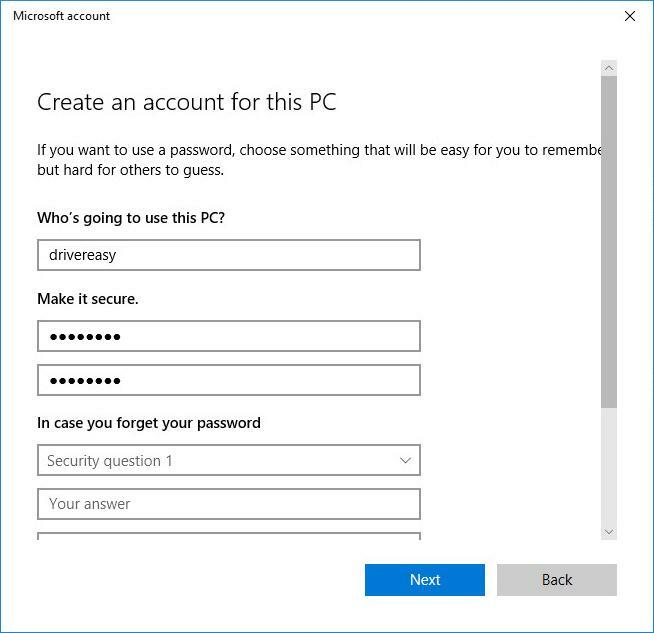 Note: the screenshots below are from Windows 10, but the solutions also apply to Windows 8/7. If you’re unable to open Task Manager using any of the tips above, we suggest scanning your computer for viruses and malware first. You can also place your PC in Safe Mode to see if you can open Task Manager there. If Task Manager can be accessed in Safe Mode but not in Normal Mode, it probably means that some malware is causing the issue. Then in Safe Mode with Internet, you can download an antivirus and run a scan. Here are the steps of how to enter Safe Mode with Internet and troubleshoot the Task Manager not responding problem. key and R key at the same time to invoke the Run box. Make sure all the currently open files are saved and click Restart. Once in Safe Mode, try to open Task Manager using one of the tips mentioned before. If Task Manager responds, you can download an antivirus and scan your PC in Safe Mode, then restart your PC normally to see if you can open Task Manager. 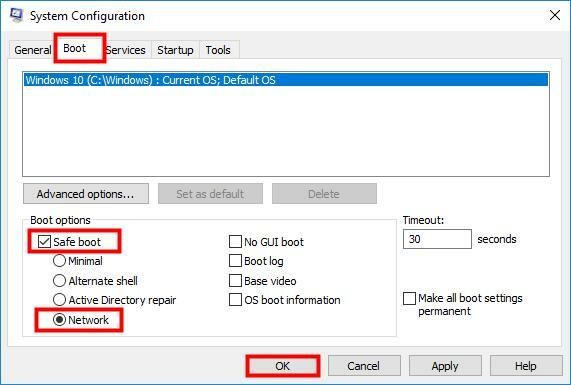 If Task Manager doesn’t respond in Safe Mode, then you can restart your PC and try the following solutions. It could also be possible that the Task Manager file in your PC is corrupted, resulting in Task Manager not responding. Then you can use System File Scanner to run a scan. System File Checker will inspect all of the important Windows files on your PC, including the Task Manager file. If the Checker finds an issue with any of these protected files, it will replace it. Restart your PC and check if Task Manager opens as expected. If it doesn’t respond still, there are other solutions you can try. 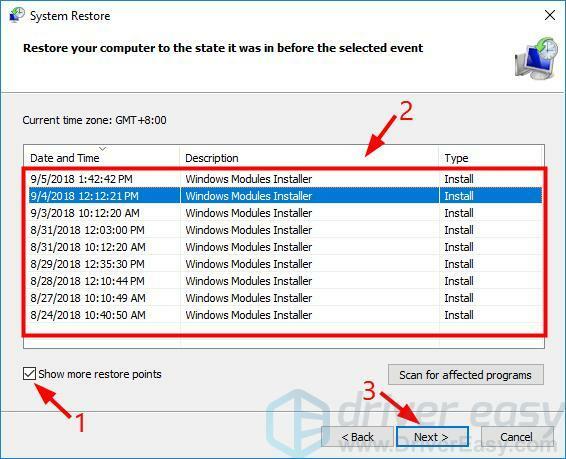 To fix Task Manager not responding, you can restore Windows to a previous restore point where the Task Manager was last working. 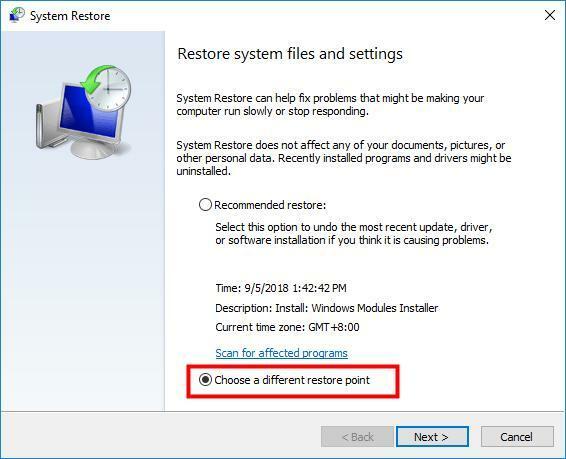 To do that, you can type restore in the Windows search box and select Create a restore point. 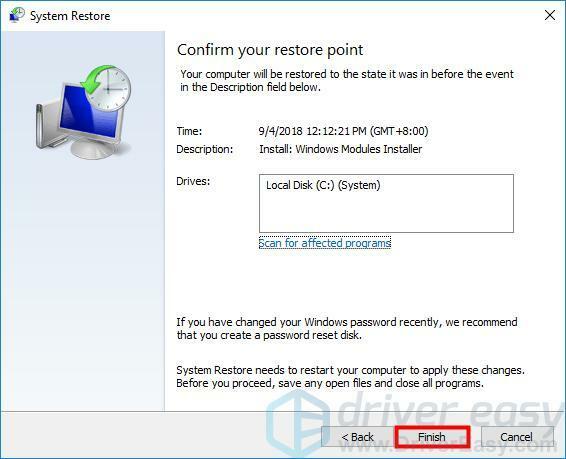 When the System Restore window pops up, select Choose a different restore point then follow the wizard to restore your Windows PC to a previous restore point. Make sure you have saved all files on your PC as your PC will restart to return to a previous state. 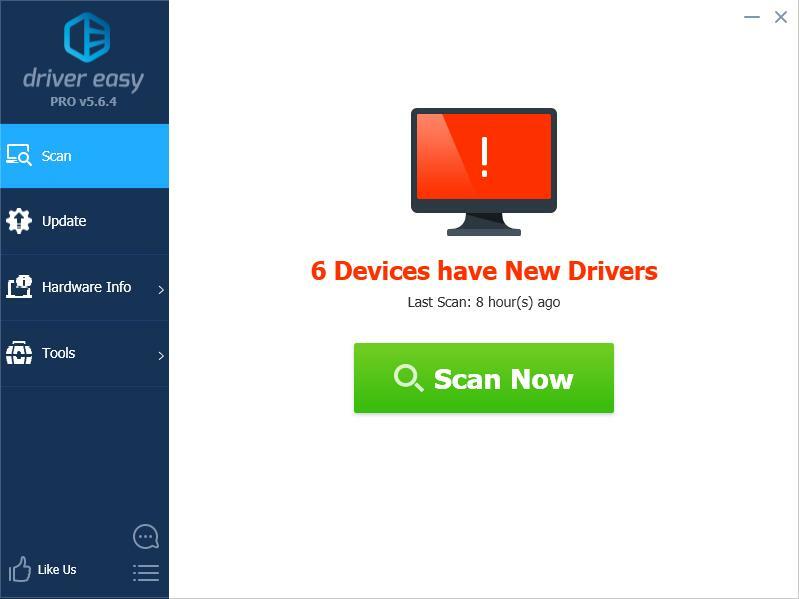 Driver Easy is a driver updater trusted by over 3,000,000 users. It can automatically recognize your system and find the correct drivers for it. You don’t need to know exactly what system your computer is running, you don’t need to risk downloading and installing the wrong driver, and you don’t need to worry about making a mistake when installing. 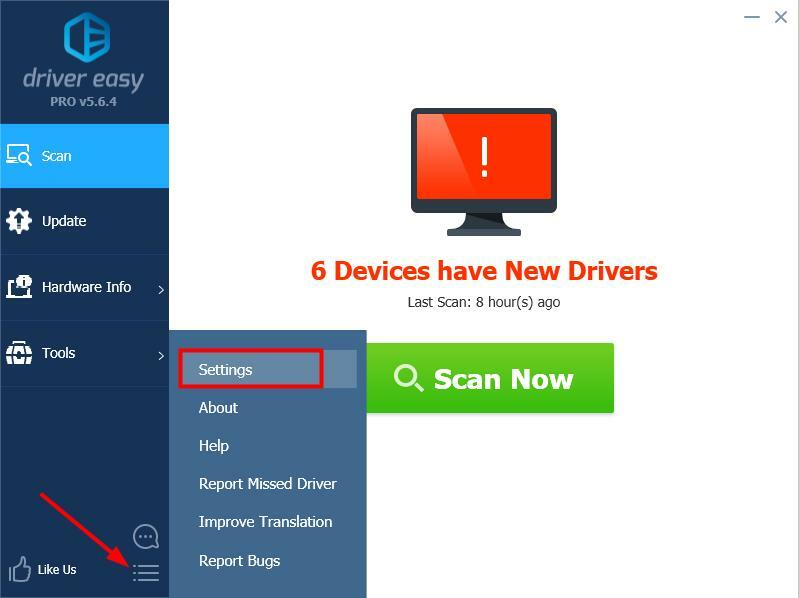 On the home page of Drive Easy, click on the menu button then select Settings. 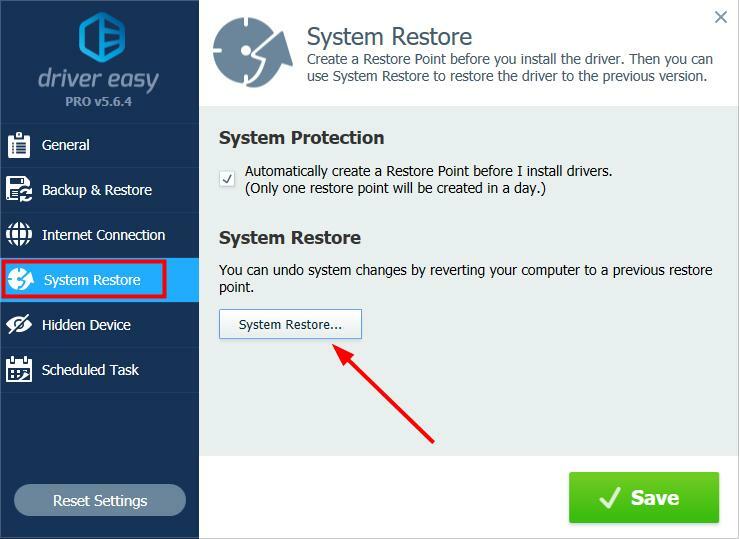 Select System Restore and click on the System Restore button on the right pane. 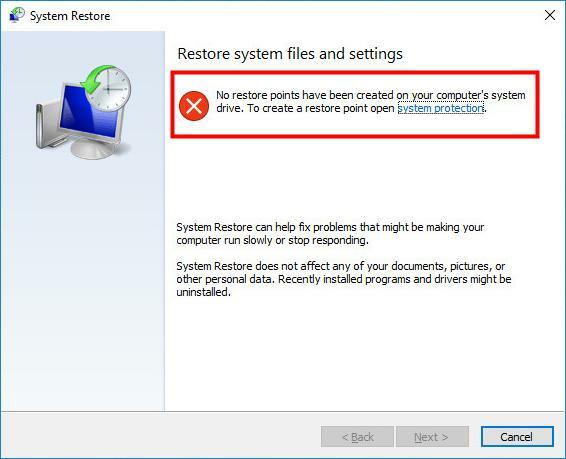 Note: If you’re told that No restore points have been created on your computer’s system drive like the screenshot shown below, you can then skip to the next solution – Check for Windows Update. Check the box beside Show more restore points, and select a point in time when you remember Task Manager was last working, then click Next. Make sure you have saved all files on your PC, then click Finish. Click Yes, and your PC will restart. When it finishes booting, check if the Task Manager not responding problem got fixed. 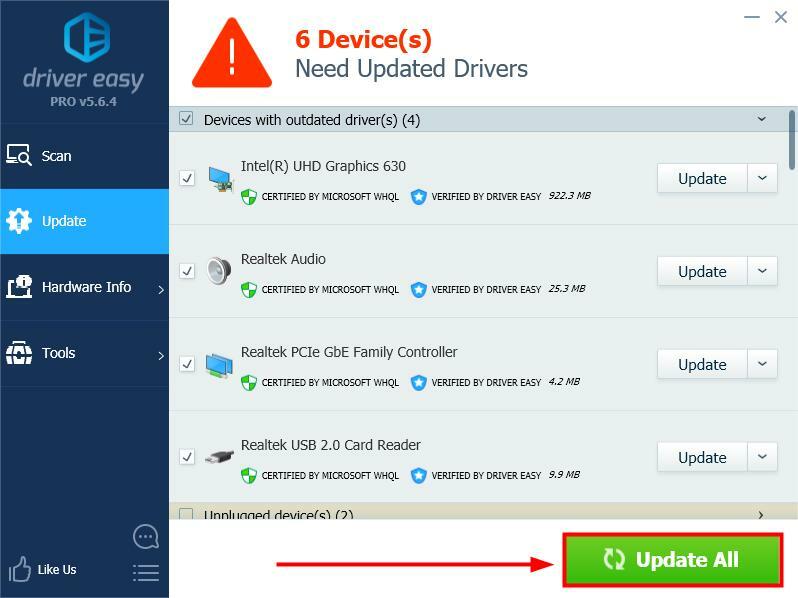 Run Driver Easy to restore driver updates. 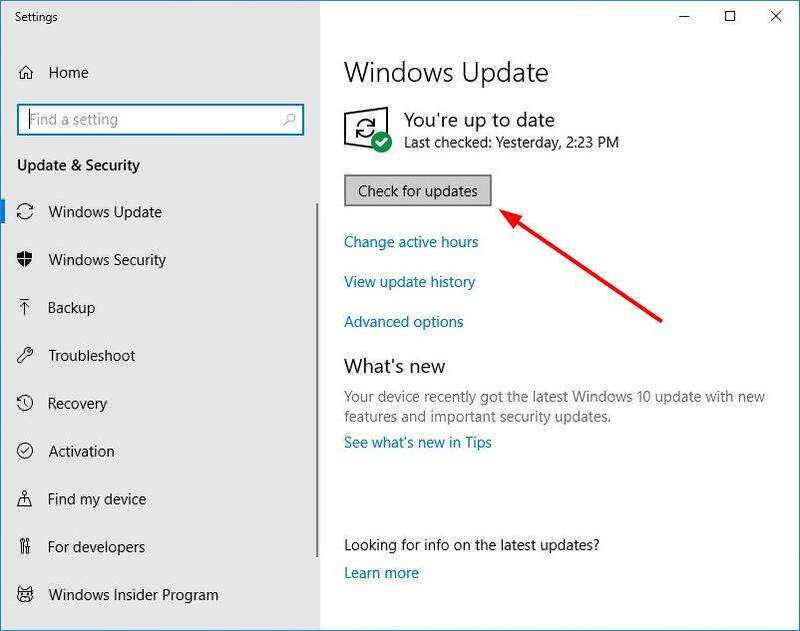 When the downloads finish, restart your PC to complete the driver updates. 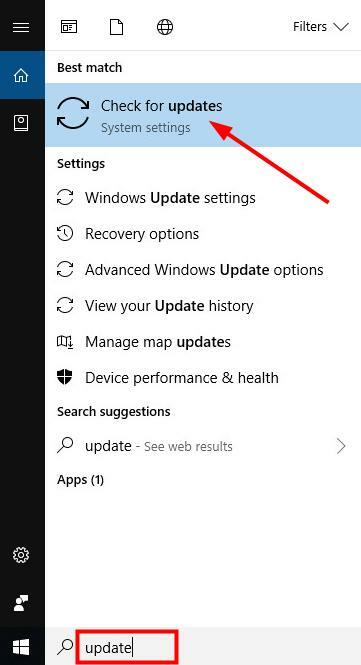 Type update in the Windows search box and select Check for updates from the results. Check if Task Manager responds. 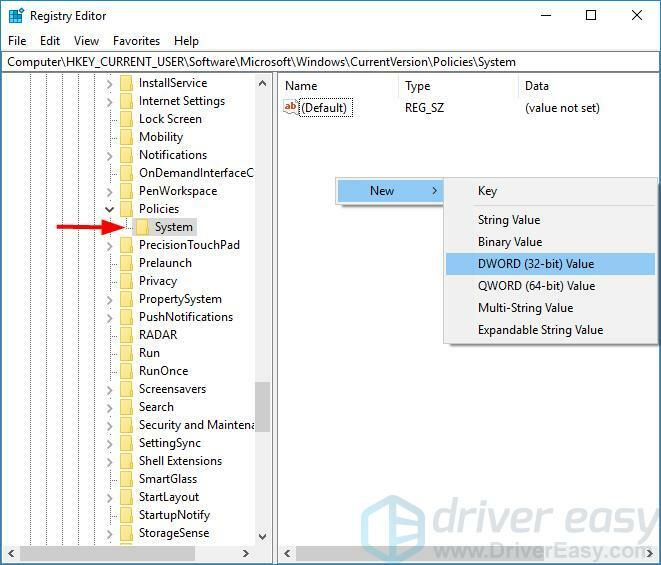 As Windows Registry collects and stores the configuration settings of Windows components, you can try making some modifications to the registry settings to fix the Task Manager not working issue. Type regedit and click OK to open the Registry Editor window. 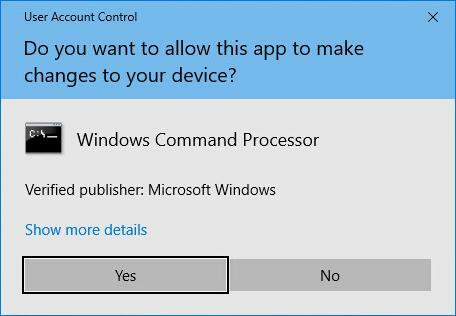 Click Yes if prompted by User Account Control. Note: For added protection, it’s advisable to back up the registry before you modify it. Then, you can restore the registry in case a problem occurs. As you’re going to add a subkey to the key of Policies, you should back it up first – click on Policies, then click on File in the upper left corner and select Export. In the Export Registry File dialog box, select the location to which you want to save the backup copy, and then type a name for the backup file in the File name field. And click Save. Then you can continue with the steps below. If there is no System key under Policies, right-click on Policies, select New and then Key to create it. 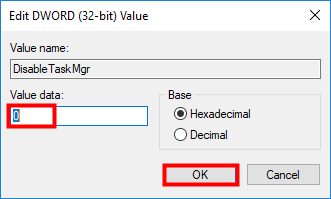 In System, right click on the empty space on the right pane, select New and DWORD (32-bit) Value. Double-click on it and set the value to 0, then click OK. Restart your computer and check if Task Manger can respond. 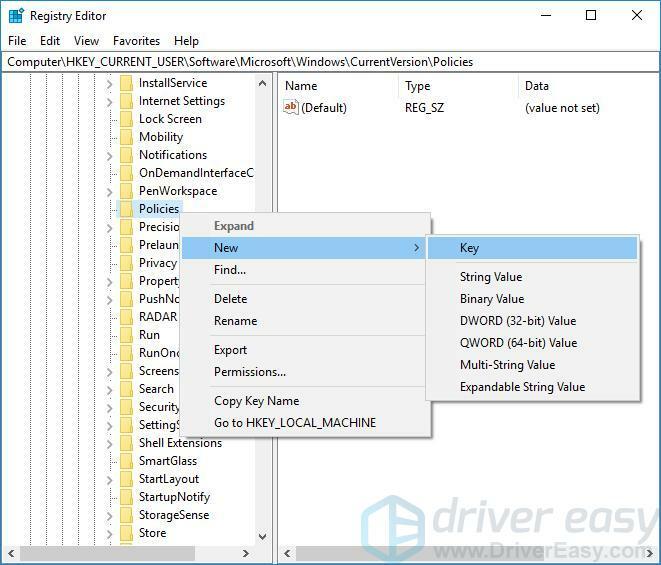 Alternatively, you can also make changes to Group Policy Editor to help troubleshoot the problem. Press the Windows+R key combination on the keyboard to open the Run box. 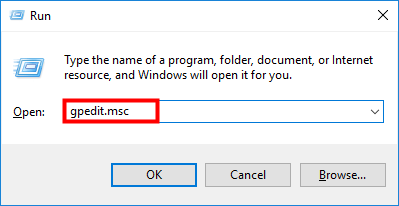 Type gpedit.msc and press Enter to launch the Local Group Policy Editor window. On the right pane, double-click on Remove Task Manager to open its settings. 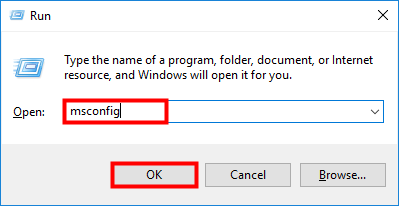 Verify Not Configured or Disabled is selected, then click Apply and OK to execute the change. Exit Local Group Policy Editor. Check if you can open Task Manager now. 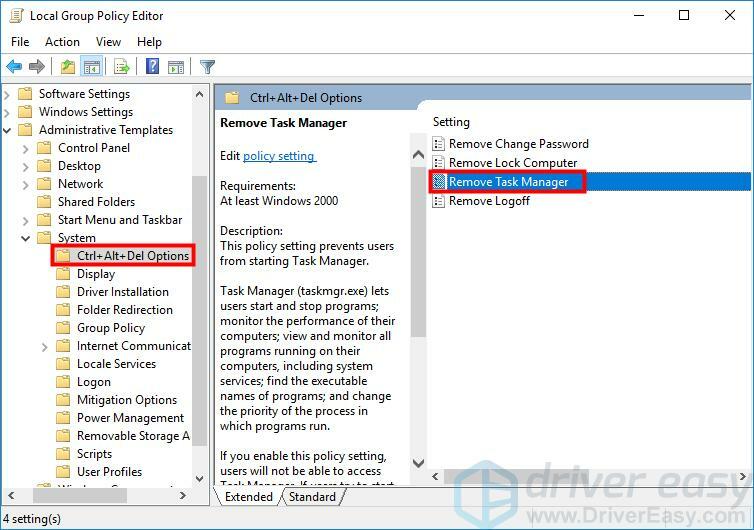 Another method you can try is to use the Windows Powershell to re-register Task Manager. 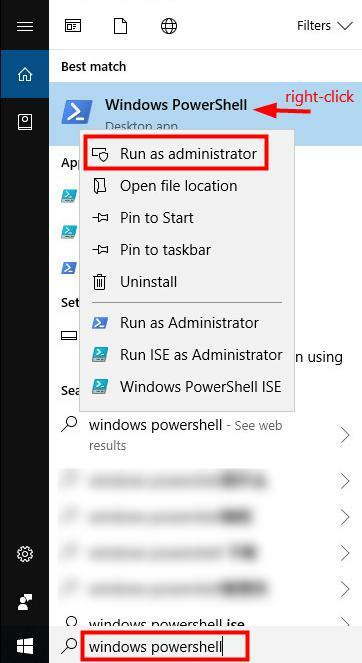 From the results, right-click on Windows Powershell and select Run as administrator. 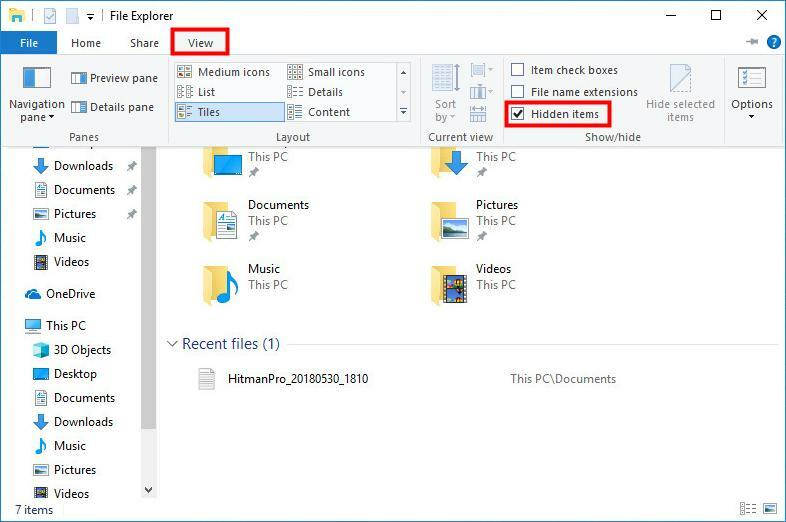 Under the View tab, make sure the Hidden items box is checked in order to view hidden items. 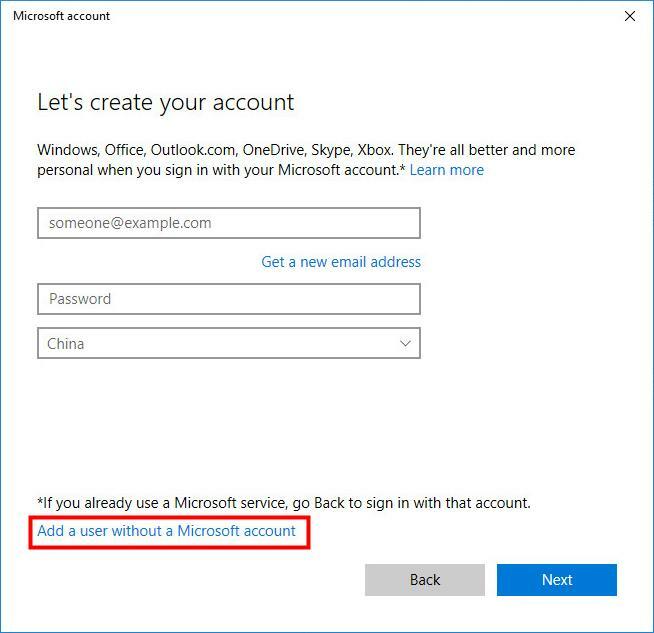 You need to create another user account first. Press Windows+I on the keyboard to open Windows Settings. 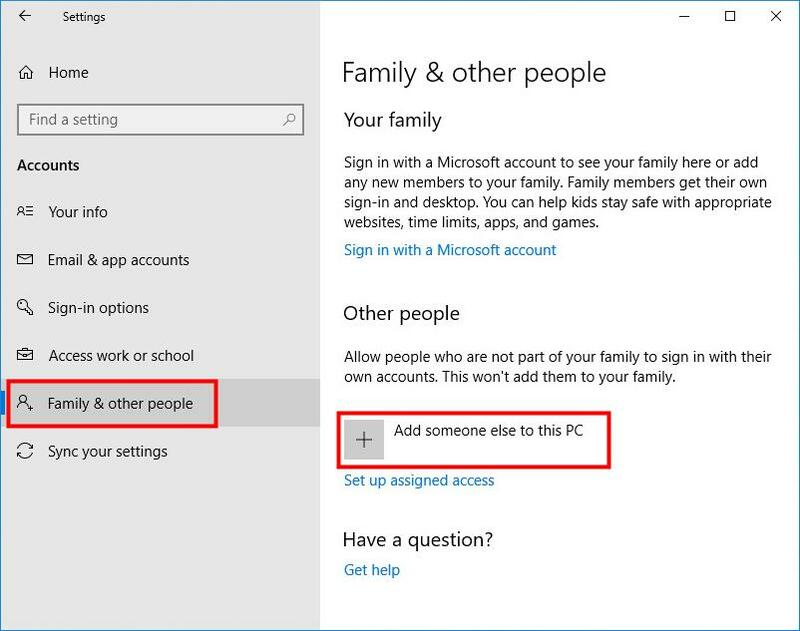 On the left side, select Family & other people, then on the right side, click on Add someone else to this PC. 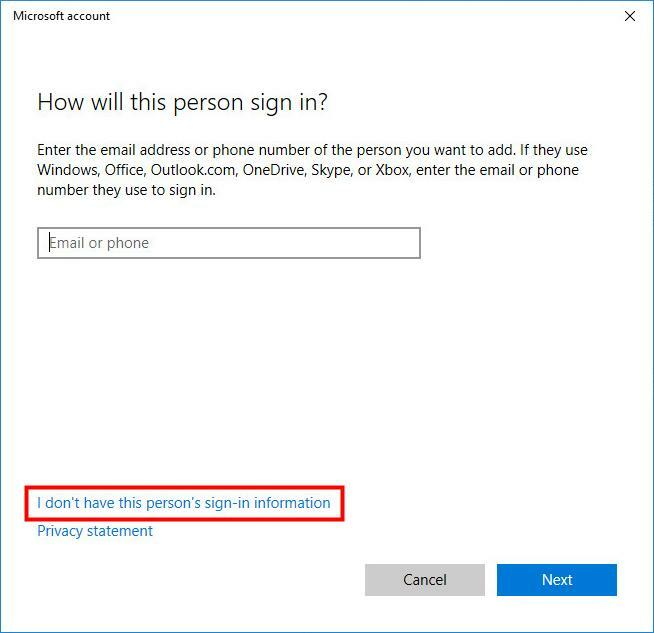 Type a username, password, and password hint, then click Next. Now back to the Accounts screen, you should see the user account you just created. With all your open files saved up, you can then right-click on the Start button, select Shut down or sign out > Sign out. 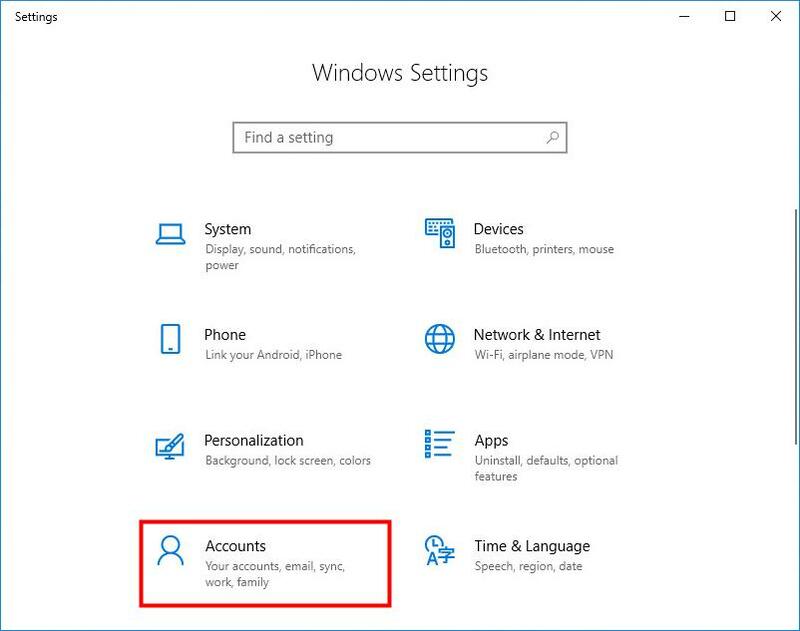 Sign in with the new user account and check if Task Manager can be accessed. These are the top 8 solutions to the Task Manager not responding problem. Were they useful for you? Leave a comment below to tell us the results or any other suggestions are welcome.